I've been loving L'Occitane bath products from the day I used them at Marriott hotel, years ago. Now, I wanted to check out their skincare products. L'Occitane Shea Ultra Rich Comforting Face Cream caught my attention mainly because it was promising that this Shea Ultra Rich Comforting cream with its creamy and melting texture, was ideal for dry to very dry, even sensitive skin, that it could keep the skin mositurized for 72 hours , that was like a dream-come-true for my dry, sensitive skin especially in winter time. I like that this L'Occitane Shea Ultra Rich Comforting Face Cream is paraben-free, enriched with 25% shea butter, viatmin E, and omega 6. This is actually a nice night moisturizing cream that deeply moisturizes my dry skin, and honestly, if I don't add any mositurizer next day, my skin will not get dry like it usuailly does, with other moisturizers. So, I don't know about 72 hours, but this L'Occitane Shea Ultra Rich Comforting Face Cream really keeps the skin moisturized for at least 48 hours. But it's certainly not for day time use, especially under any makeup __ it's way too heavy for that purpose. I personally couldn't find the way I could make this cream work for me, under my liquid foundation. I can't stand its strong smell, I mean, I hate it.. I've never had any skincare product that stinked like this. I can't belive I spent $34 on this. Have you tried this cream, girls? let me know in the comments below and have a fabulous day. Am sorry about the smell Nina, just ignore it and you might get used to it, don't stop using it until you achieve the required results. I'm not sure if I can go with a product that I don't like the smell. Sorry you hated it so much. I do like their body products though. Have a great week Nina! I am glad I read your review as I was thinking of buying it. I love L'Occitan products, especially hand area,s and shampoos, but I could;t stand either a face cream smelling so intense! Shame about the scent, Nina but I hope you see some great results with continuous usage. That's too bad about the scent! I have the cleanser in this range and quite like it though perhaps the scent isn't as strong. I never tried but if the smell is awful I know I will definitely never try it! Thanks for the review! Definitely sounds like a night time cream, pity about the scent! That cream looks amazing, my skin gets very dry in the winter so I have to use a moisturizing cream at night! I've tried their eye cream and loved it, now I have to try this face cream, it sounds amazing! Thanks for sharing, girlie, and I hope you have a wonderful week ahead! Oh... well, where to start... 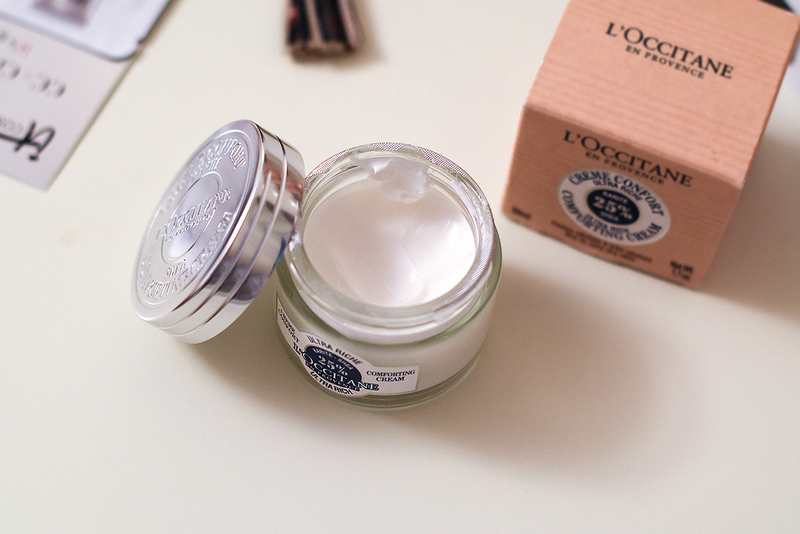 I normally like L'Occitane products, but never tried facial creams. Without parabens is a good thing, with vitamin E too, but you said that it's not so good under makeup and the scent is too strong. Well, I remember once being with a friend who lived in Austria, and she had a cream that was so thick, she said it was important to wear it during the day, without makeup - in the winter. Maybe this is how this one works, but anyway... not so good. Hope you have a very nice week! Thanks for your honest review, I also tend to stay away from creams with a heavy scent! My skin loves products with shea butter. This one initially sounded good but I don't think I would bother myself either if the smell isn't nice and on my face too. Bummer! So strange that it smells bad like that. Vitamin E specifically likewise decreases the imperfections and dull spots with its common skin shielding properties protecting you from the antagonistic impacts of over-presentation to the sun. Sorry to hear this product didn't impress - and thanks for your honesty, because it's so important that moisturisers work well underneath makeup, especially underneath liquid foundation! This moisturizer (minus the smell--which is so strange) sounds amazing!! I actually just bought a new moisturizer for $34, which is the most I've ever paid, so I'm hoping that it'll last a while! I have only tried their hand cream, but I loved it. I imagine the face cream is amazing. Shame about the scent of this cream. I only tried their hand creams and they always smelled amazing. Ahh, it started out so promising until you said it doesn't work as a daytime lotion. That kind of moisturizer is one I'm looking for, especially since I have some dry patches that just won't go away. Shame about the scent as well, but at least it moisturizes okay! I have super dry skin, so I would probably love it. I hate that it has a scent! I don't know why companies feel the need to add fragrance to skincare products. But this would be a great nighttime moisturizer. I love Occitane bath and body products, but have never tried this cream. It's such a shame about the smell and it sounds a bit too heavy for my liking too! This looks so nice! Thanks for the review. I love a heavy cream. Need to try! 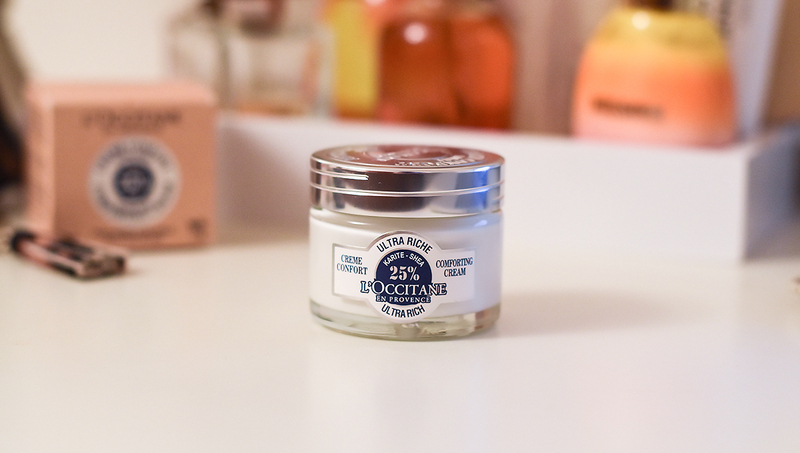 L'Occitane is my fave and this face cream sounds amazing!